Arrive in Los Angeles on Day 1. Check out Hollywood and then head to Las Vegas for a night on the town on Day 2. Explore Vegas on your own on Day 3. 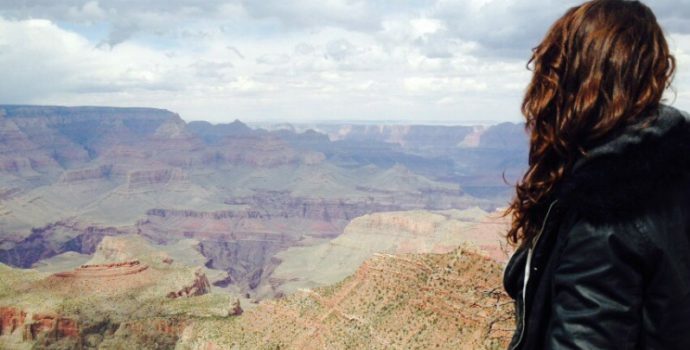 Travel to the one and only Grand Canyon on Day 4. 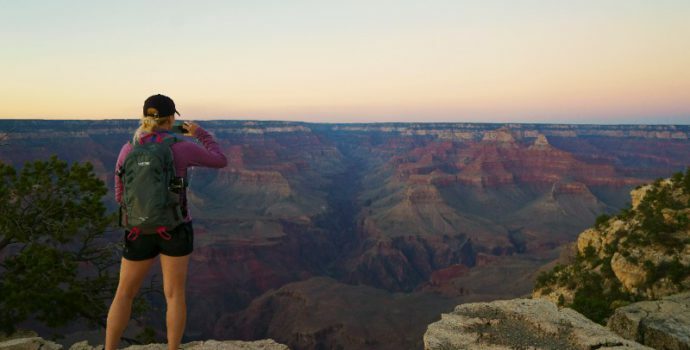 Explore the Grand Canyon on your own time on Day 5. 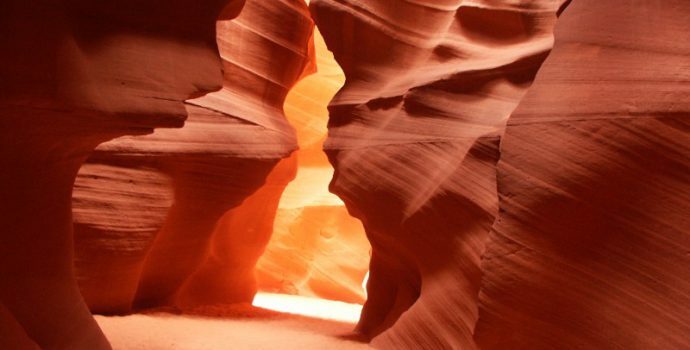 Travel from the Grand Canyon to Monument Valley on Day 6 and then on to Lake Powell on Day 7. Travel to Bryce and Zion National Parks on Day 8. Explore Zion National Park at your leisure on Day 9 before heading to Benton Hot Springs on Day 10. Travel to Yosemite National Park on Day 11 and explore this natural wonder on Day 12. Travel from Yosemite to Petaluma on Day 13 and on to San Francisco on Day 14. You trip ends in San Francisco on Day 15 after check-out. Welcome to Los Angeles! Upon arrival in Tinsel Town, make your own way to the hotel and check into your room in time for a welcome meeting at 6 PM in the hotel lobby, during which you will meet your Bamba Happiness Leader and fellow travel companions for the next two weeks! During the meeting, we will go over the trip itinerary and travel details. Feel free to spend the rest of the evening at your leisure getting to know the group and hitting the town. Overnight in Los Angeles. Today we will be departing Los Angeles, but not before stopping in Hollywood! Your trip guide will give you some free time to explore the sights and sounds of the famous neighborhood, including the famous “Hollywood” sign. Once we’re done checking out Hollywood, it’s time to head of to Las Vegas! After checking into the Golden Nugget (one of the oldest and most historied hotels in Las Vegas), you’ll have some time to relax by the hotel pool (one of the top-ranked pools in town). We will then head out for a night on the town, starting with a “traditional” Las Vegas buffet dinner. After dinner, we’ll hop into an optional limo party bus and hit the town “Vegas style!” Our driver will take us up and down The Strip, where we’ll have time to take pictures in front of the famous “Welcome to Las Vegas” sign, check out vintage Vegas on Fremont Street, and take in the impressive water and light show in front of the Bellagio Hotel & Casino. If you’re feeling up to it, head out to Las Vegas’s numerous clubs afterward for a little dancing with your new friends. Overnight in Las Vegas. *Note: The Vegas party bus is an optional activity, and costs $20-25 per person. There isn’t a better way to experience the bright lights of Las Vegas! Guests are free to bring their own beverages to enjoy during the tour. Enjoy a free day to recover from the night before and explore the bright lights of Las Vegas and take in a show, eat at one of the city’s countless restaurants, and if you feel so inclined, do a bit of gambling! Overnight in Las Vegas. After an early breakfast (optional), we will depart for the one-and-only Grand Canyon, one of the world’s seven natural wonders. At 446 kilometers long, 29 kilometers wide, and up to 1900 meters deep, the Grand Canyon is awe-inspiring from any angle, and is at the top of nearly every nature-lover’s bucket list. We will have plenty of time to hike and explore the canyon as well as enjoy a fresh lunch nearby. Camp overnight at the Grand Canyon. 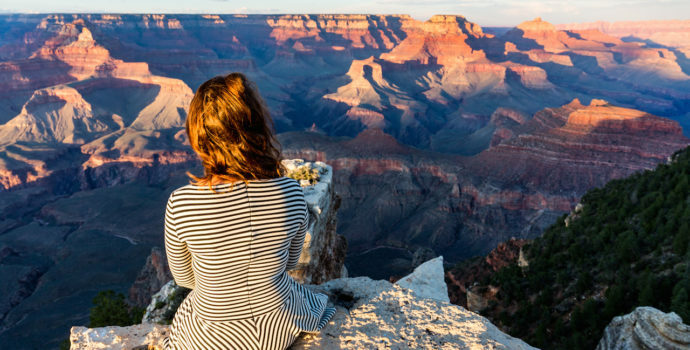 Enjoy a free day to explore the wonders of the Grand Canyon. 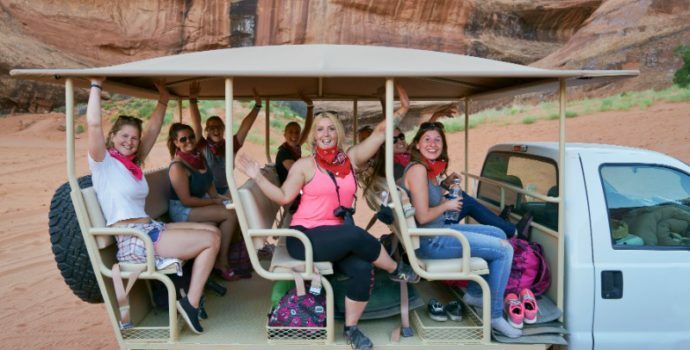 Take off on a hike (your guide can recommend a few routes), or head over to the visitor’s center, rent a bike, and cruise around the canyon’s rim for some truly unforgettable views. Camp overnight at the Grand Canyon. On our way out of the Grand Canyon, we’ll make a pit stop at the Cameron Trading Post for a quick shopping spree – here you can find plenty of Native American goods for sale. 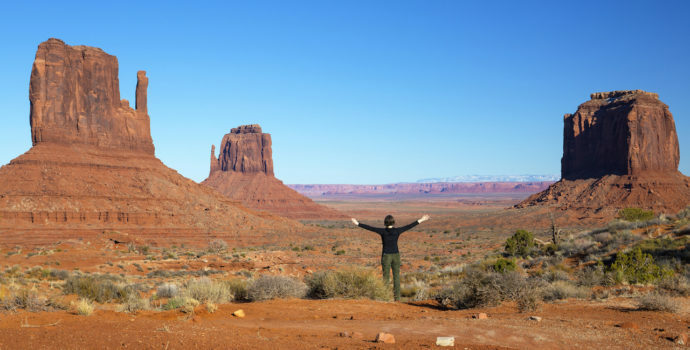 We’ll then make our way towards Monument Valley. Once we arrive, we’ll trade in our van for a 4×4 Jeep and head out into Monument Valley’s backcountry for a little off-road action. We’ll be joined by a local Navajo guide who will guide us through the valley, all the while enlightening us with stories behind the sacred monuments, providing the group with a unique insight to the importance of this wonderful landscape. 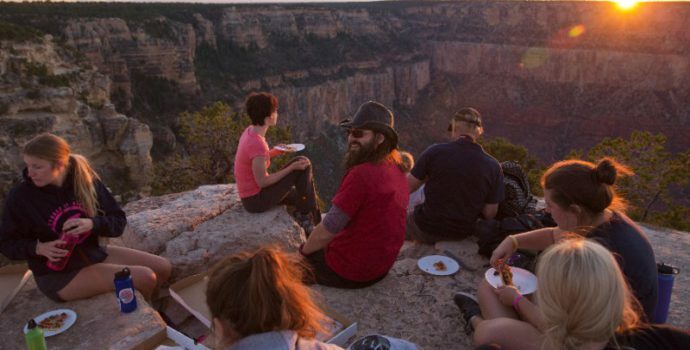 After we finish our 4×4 tour, we’ll head to dinner, where we will be hosted by locals in a campout and try traditional “Navajo tacos,” a local culinary tradition. After dinner and a campfire ceremony, we’ll call it a night and curl up for a comfortable night’s sleep under the backcountry stars. Overnight in Monument Valley in a traditional Navajo hogan. After breakfast, we’ll begin our road trip towards Lake Powell with a stop at Antelope Canyon and Horseshoe Bend. 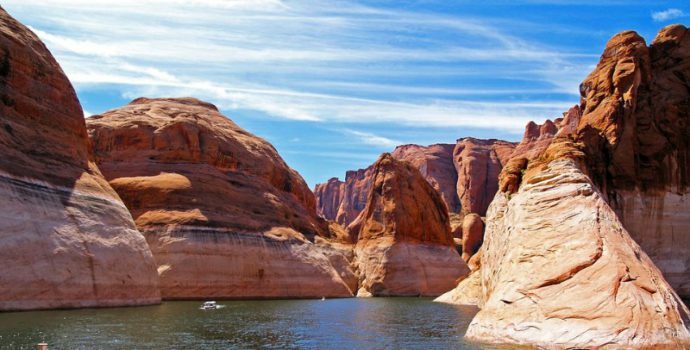 Along the way, we’ll also cross over the dramatic and controversial Glen Canyon Dam, an area which was inhabited by Native Americans before it was flooded when the dam was built across the Colorado River. We’ll spend the rest of the day by the lake, where you may take a refreshing swim or even rent a kayak (optional). 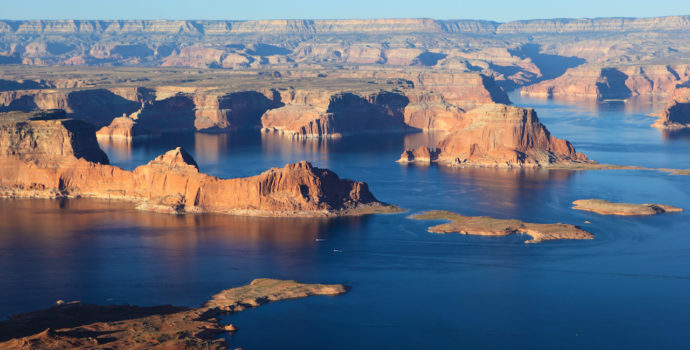 Once we reach our campsite near Lake Powell, we’ll have dinner, after which you are free to relax at the campsite for the evening and share campfire songs. Overnight near Lake Powell. After breakfast, we’ll head out on the road for the day, stopping at both Bryce National Park and Zion National Park. 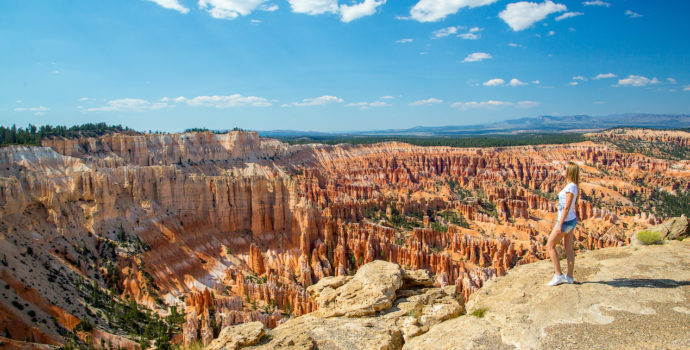 Upon reaching Bryce National Park, we’ll check out the hoodoo rock formations and trek on what is considered one of the most beautiful and unique hikes in the country. We’ll depart Bryce in the afternoon and head towards Zion National Park, where we will set up camp within the walls of the mighty Zion Canyon itself. After our dinner under the stars, our tour leader will teach us how to roast the perfect marshmallow over the fire. A controversial subject, we know! Overnight in Zion National Park. 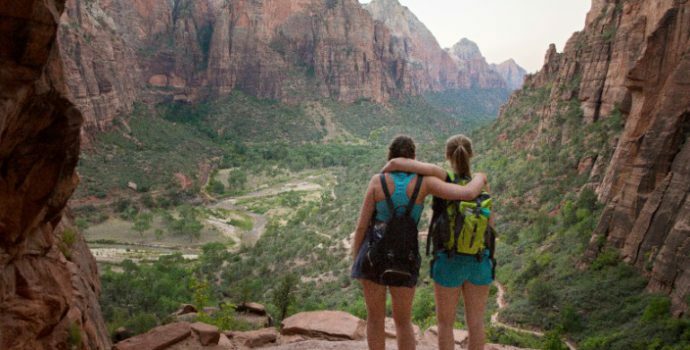 Enjoy a free day to explore Zion National Park and the impressive Zion Canyon. After breakfast, we recommend you head out on the hike to the famous Angel’s Landing, then cool off in the refreshing waters of the Virgin Narrows for a truly unforgettable day in pristine nature. The first people to explore what is now Zion National Park entered the canyon looking for food, and now, thousands of years later, more than 4 million people come from around the world to nourish their souls with the sight of the verdant valleys and vermillion cliffs of Zion, one of the most visited national parks in the United States. Overnight in Zion National Park. Today we will leave Zion and head toward the Benton Hot Springs, where we will set up camp next to our very own “personal,” naturally-fed hot spring. 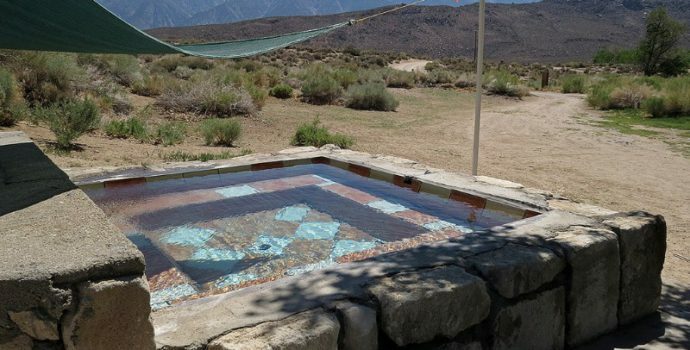 Relax in the hot springs after the long car ride and take in the gorgeous scenery of the eastern Sierras. The campground, while stunningly beautiful, is very basic – there isn’t any running water. Your trip leader will prepare everything that will be needed to be brought in from town. Overnight at Benton Hot Springs. 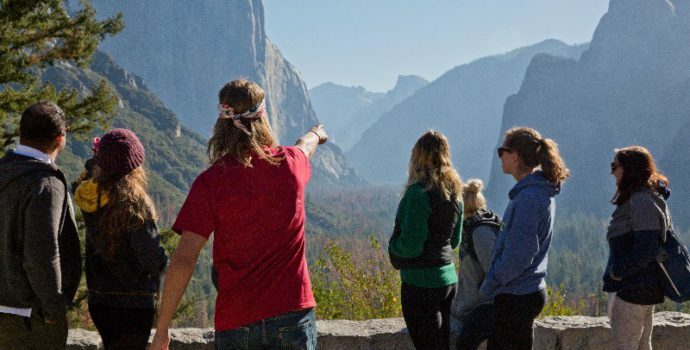 Today we depart Benton Hot Springs towards world-famous Yosemite National Park, which features incredible natural scenery among granite peaks, waterfalls, wildlife, and forests, as well as a rich history of human inhabitants. Along the way, we’ll travel along the eastern basin of the Sierra Nevada Mountains before climbing Tioga Pass and passing by Tenaya Lake. We will stop at the Tuolumne Grove and hike up to the giant sequoia trees, the largest on the planet. We’ll then head over to our campground for the evening, located just outside the park. First protected in 1864, Yosemite National Park is best known for its waterfalls, but within its over 3000 square kilometers, you can find deep valleys, grand meadows, ancient giant sequoias, a vast wilderness area, and much more. Overnight near Yosemite National Park. The park is so breathtaking in its natural drama that it was here that John Muir inspired President Theodore Roosevelt to establish the US National Parks system, the first of its kind and one of the countries greatest sources of pride. Today we will head into the park for our first look at Yosemite Valley, home to many of the famous cliffs and waterfalls that make Yosemite National Park famous, including El Capitan. We’ll take some time to visit the various viewpoints, and after an orientation tour of the park, you’ll have some free time to explore on your own or with your new friends. With the free shuttle, your options are limitless. Overnight near Yosemite National Park. After breaking camp, we’ll embark on a road trip towards the Bay Area, during which we’ll have the chance to check out some of the beautiful Sonoma/Napa Valley vineyards. If time allows, we can stop at one of the aforementioned vineyards for a quick wine tasting session. After sampling some of the region’s finest, we’ll head off to Petaluma for the evening. Overnight in Petaluma. After breakfast and breaking down camp, we’ll head into the incredibly beautiful city of San Francisco. We’ll have the chance to stop off at the Golden Gate Bridge, where we can get out, stretch our legs, and walk around for a bit. Your guide will then give the group a brief introductory tour of the colourful and bohemian city, after which you will get some free time to explore San Francisco on your own. We’ll then check into our hotel for the last evening of the tour. After checking out of your hotel room, your trip comes to an end and you are free to continue on to your next destination. Make sure to exchange contact information with your new friends – you’ll have a lot to reminisce about! Safe travels!